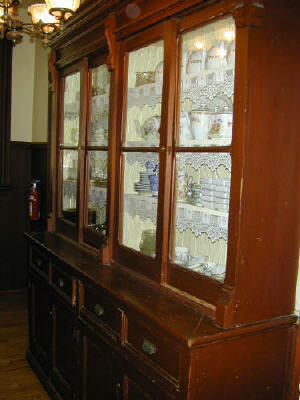 The house was built in 1891, and consists of a drawing room in the front, a dining room in the center, a narrow pantry, a kitchen, and one bedroom. There is a billiard room in the basement. 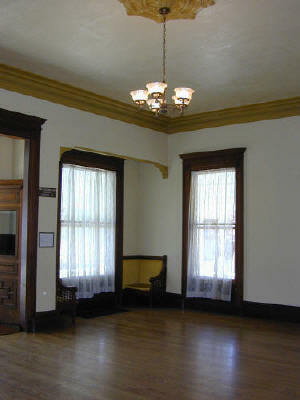 North West corner of the drawing room. 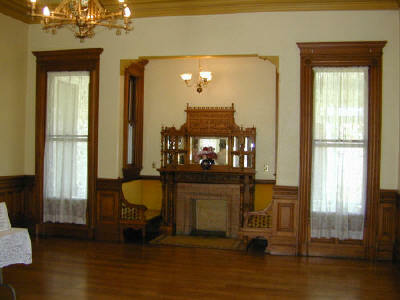 Fireplace on the North side of the Dining Room, called an inglenook. The sorth side of the dining room. 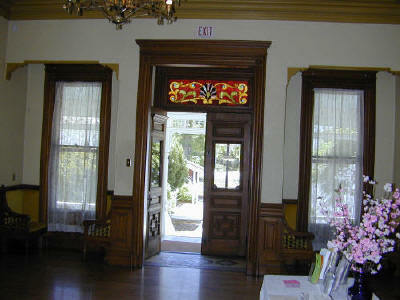 Window above the side door in the dining room. 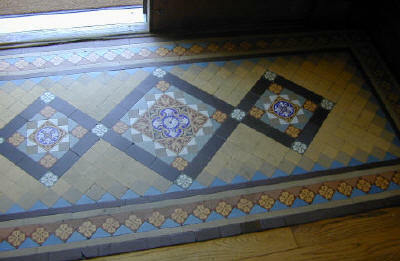 Encaustic tile in the floor by the side door in the dining room. 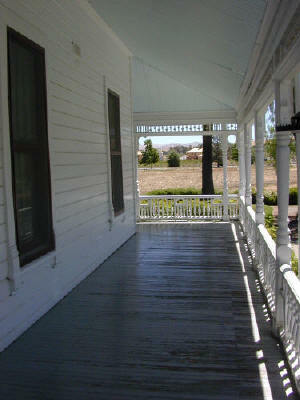 The porch on the south side. 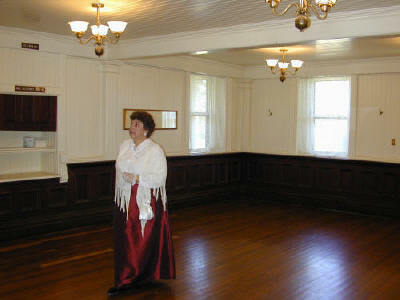 The Billiard Room, in the basement.